Reliance Jio 4G has brought a new revolution in the telecom industry. Within a short period of time, it has become one of the most popular mobile operators in India. Now around 80% smartphone users are using Reliance Jio 4G. Not only it provides high-speed access to the internet and free voice calls, but the data plans are also very low. Jio surprise its users with amazing offers and free services. There are many people who don't seem to know about them. 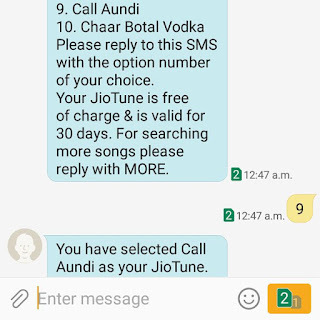 For example, you can set free caller tune on Jio. 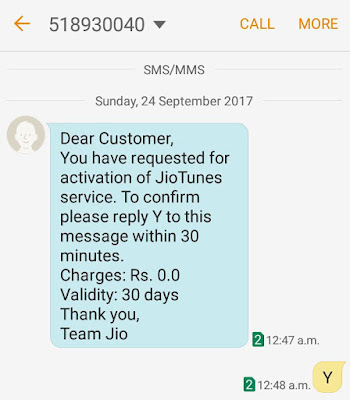 Other operators may apply charges for this service, but Jio offers it for free. 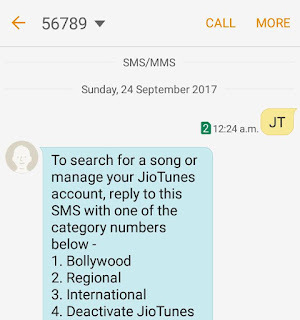 If you wish to set your favourite song as caller tune on your Jio number, this guide will show you how to do it. 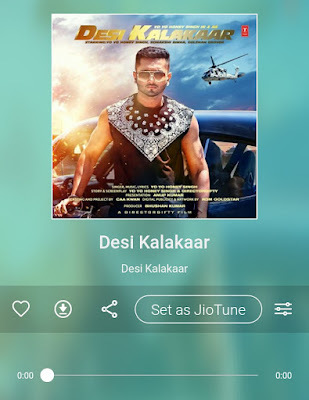 Jio Music app is the official free music player app of Jio where you can listen to HD music and Radio online. This app is available on Google Play Store (for Android) and App Store (for iPhone). First, install JioMusic app on your phone and open it. 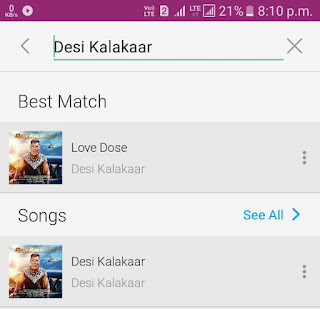 Now search and select a song you want to set as your caller tune. Tap "Set as JioTune" button on music player window. You can tap play button to listen the preview. 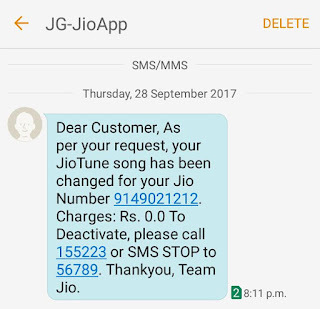 Now you will receive a confirmation message on your phone for JioTune activation. Open the default Messaging app and SMS JT to 56789. You will get an automated instant reply from Reliance Jio. Now you have to search for a song you want to set as your caller tune. There are 3 category options available: Bollywood, Regional and International. • If you want to search for a specific song, reply with the first 3 words of the song (upto 40 char). Once you find the song in results, send a reply with the code of song as mentioned in the message. Now you will receive a new confirmation SMS on your phone. To confirm the JioTune activation, reply Y to the message within 30 minutes. That's it. If you want to copy your friend's JioTune, simply call him and press * asterisk button while listening to the caller tune. After this, you will receive a confirmation SMS as like in above method. Reply Y to this message and you have successfully activated free Jio caller tune service on your number. First, open messaging app and send JT to 56789. Now reply with 4 and then confirm the deactivation with 1. Another way is to send STOP message to 56789. 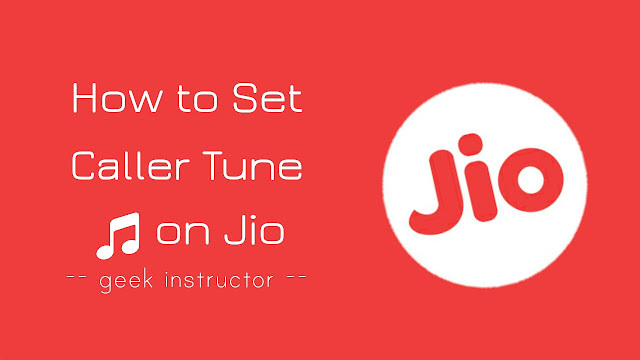 We hope you find this guide helpful on Jio caller tune service. If you want to ask something, feel free to share it in the comment section.